How to Choose Best Bathrobes? - Zhejiang Saibo Home Textile Co., Ltd.
A single piece of clothing which can be used for several purposes is the bath robe. Its an must have apparel in everybody’s wardrobe especially in case of women. A bathrobe can used for many things like bundling after a shower or bath, covering the body from the sun at a beach and at swimming pool and can be used as quick apparels while relaxing or dressing up. For now let us talk about bathrobesand few tips to choose the best ones. Fabric and fibres: Before buying a bathrobe it is important to check for the quality and the type of the fabric. A little difference in the fabric affects the functionality of the robe. As the bathrobe is meant for absorbing maximum moisture from the body the fabric used should be of more absorbing capacity. 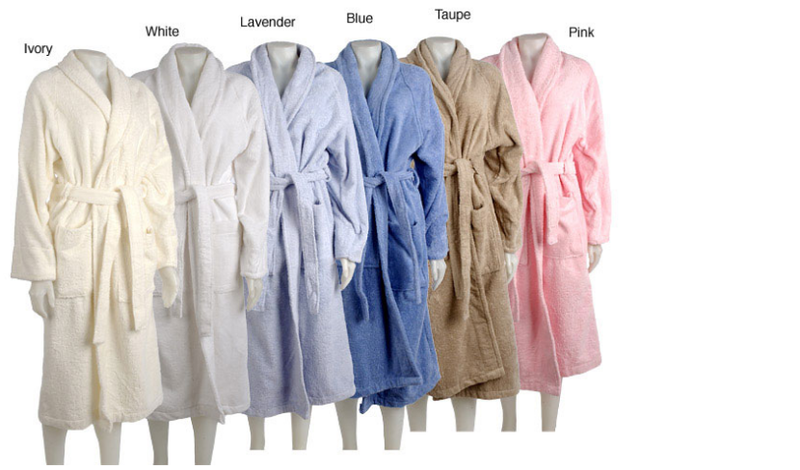 To serve such purpose it is important to choose the bath robe made of terry cotton bathrobe, pure cotton bathrobe, bamboo cotton bathrobe, or cotton and polyester combination fabric. These fabrics not only absorb the moisture but also give a smooth touch and feel. They also give some warmth by making us dry. Length and size: Especially when choosing women’s bathrobe it is essential to check for the length of the bathrobe. Again it is your option to decide which sized one you need that serves the purpose for which you are buying the robe. For relaxing purpose it is always better to go for long cozy robes especially in cold climates. However for hotter climates and after shower or bath purposes it is always better to go for short knee length robes. Coming to the size, as the robes are always available in free and bigger sizes it is always better to choose the one which you feel free in wearing. And finally the color. Again this factor depends on the individual taste and it can be let for your choice. However, in general most bathrobes are available in light colors which look cool and pretty for hot summer days. Dark colors are easy to maintain as they conceal the dust and dirt.